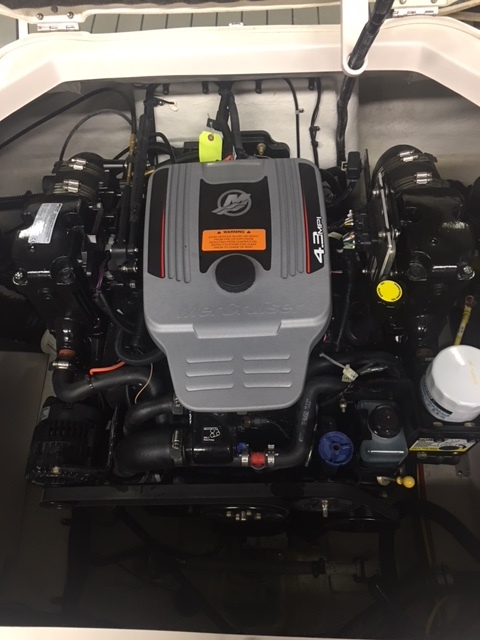 This Mercruiser 220HP motor has ONLY 29 hours on it!!!!!!!!!!!!. All the hours are at 3500RPM or below. The hours report is included in the picture cue. 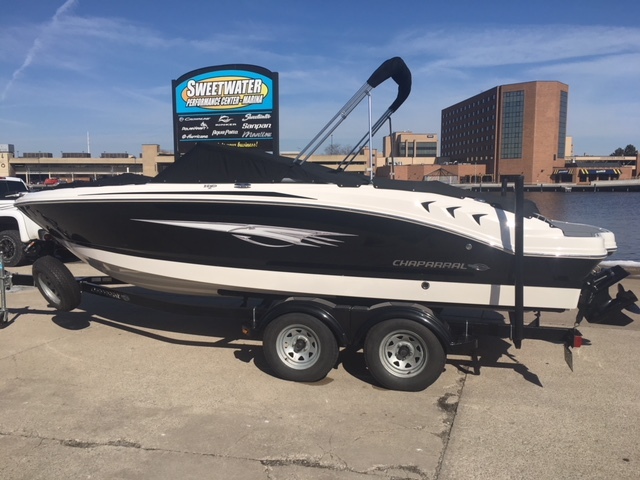 Chaparral 21 Ski & Fish H2O combines the best of everything. Larger casting platforms, abundant storage, and flexible seating cockpit design. 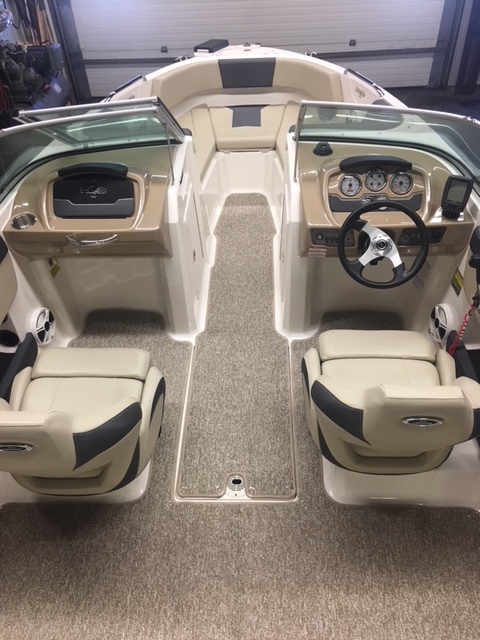 Options you won't want to be without include snap-in carpet, a bow walk-thru door, fish finder, upgraded dash and a swim platform. Additionally, standard bucket seats with a flip-up front bolster. Anglers will love the protected rod storage, standard trolling motor and 70-quart livewell. 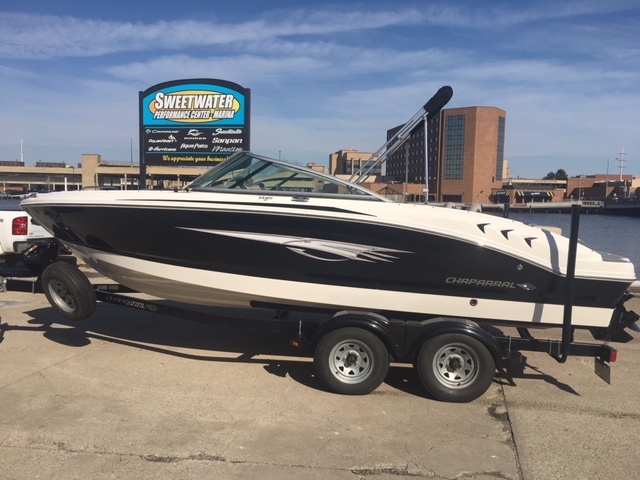 The new 21 Ski & Fish H2O has got superstar written all over it. 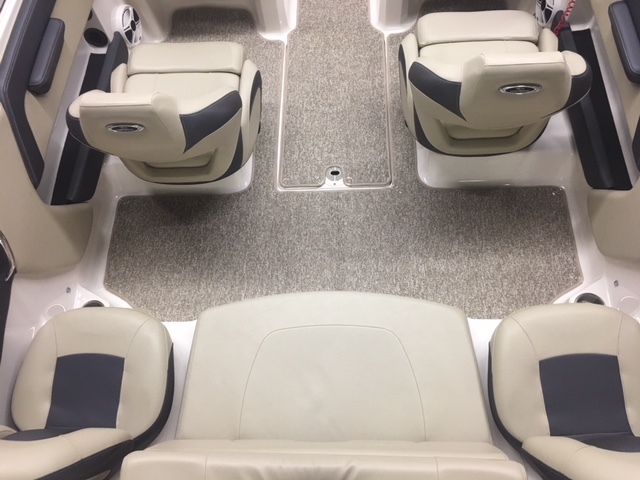 As the centerline goes up, the casting platforms get bigger, the cargo space goes up and both helm console storage areas are standard. Inside, the flexible seating cockpit design is hospitable when it's family time and a first rate fishing boat when you've got hooks in the water. 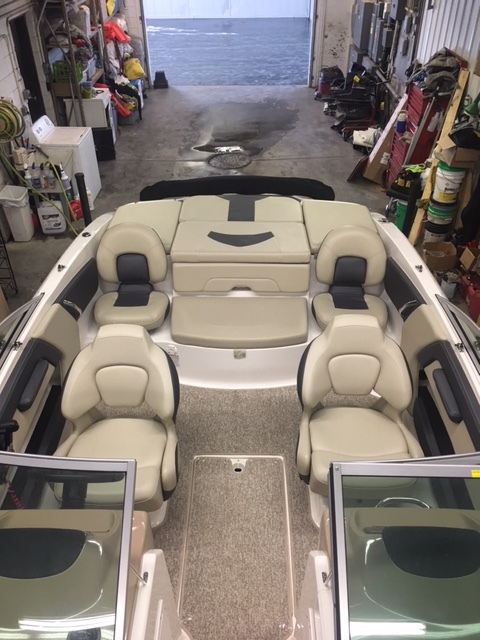 Options you won't want to be without include snap-in carpet, a protective bow walk-thru door, Garmin 150 fish finder, woodgrain dash and a swim platform logo mat. 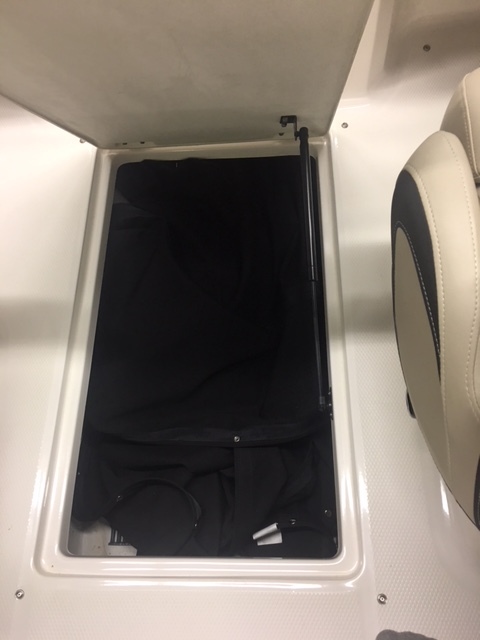 Additionally, you can upgrade either one or both of the standard bucket seats to an ultra-comfort pedestal complete with a flip-up front cushion. 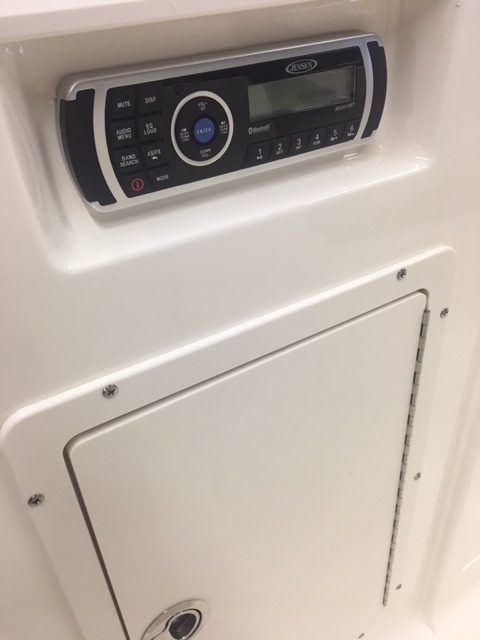 Anglers will love the protected rod storage, standard MotorGuide trolling motor and 70-quart livewell. How can we prove we build the world's finest boats with nothing but premium quality components? Chaparral's Limited Lifetime Hull Warranty sends a clear signal we do it right and stand behind the boats we build. 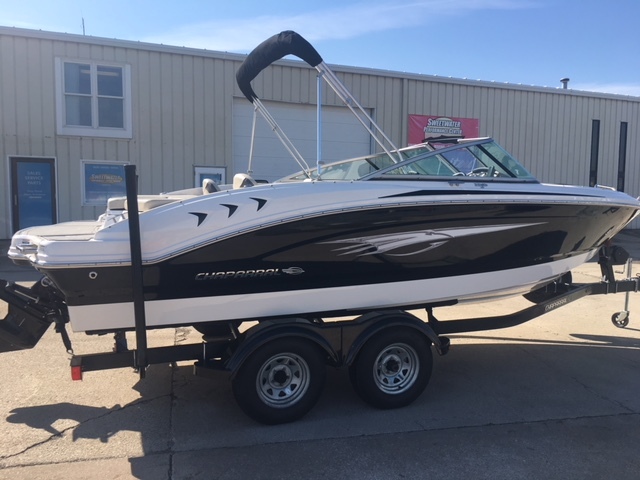 Chaparral owners take to the water with the confidence of knowing their investment is well protected. 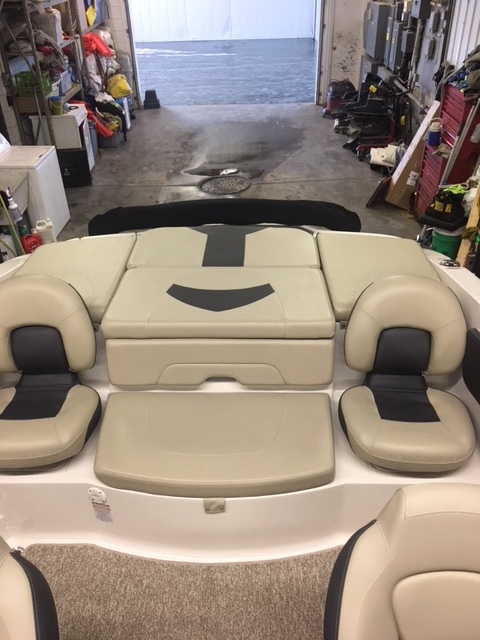 Chaparral's warranty also has provisions for transferring coverage and includes limited cockpit upholstery, canvas, components, gelcoat and blister protection. Your Chaparral dealer can provide specific warranty details. 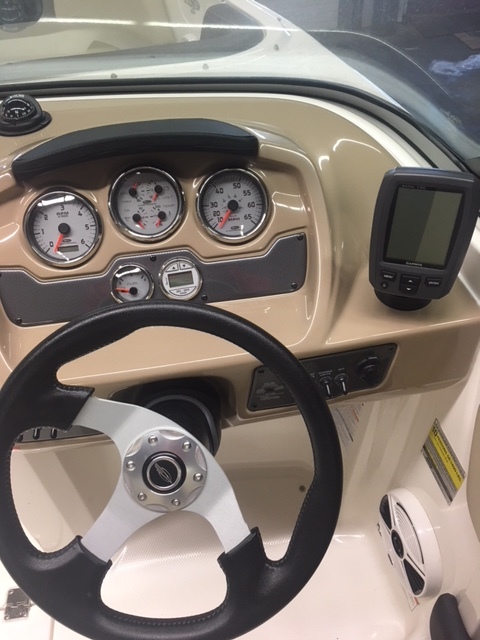 H2O Gauges: Set against an all-new helm design featuring a custom hand-stitched brow, our H2O gauge package provides a wealth of information at just a glance. Aluminum faced gauges are accented with stainless steel bezels. Fog resistant and built to last, our high quality instruments are easily legible in all kinds of lighting conditions. Optional Garmin Fish Finder: Our optional Garmin echo 150 is an H2O owner's dream. Scan freshwater depths up to 1,300 ft and in shallow water a 120 degree viewing angle lets you see fish well beyond the sides of your H2O. Garmin's exclusive HD-ID target tracking technology provides excellent separation and clear definition on a crisp 4" grayscale display. A quick-release tilt mount makes installation of this compact unit a snap. Easily Accessible Circuit Breakers: All of our models feature state of the art circuit breakers designed with you in mind. 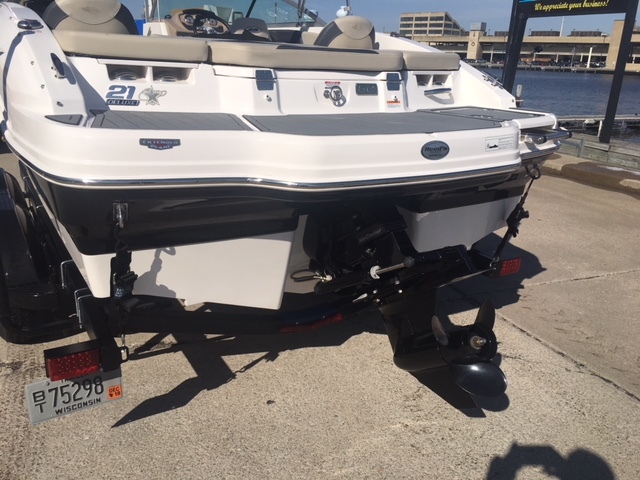 These water resistant breakers are located in order to be easily reached while on the water. No more fumbling with fuses while fishing, simply reset the breaker and you are back in business!